End Of Daze Announce Debut Album, Tracklist & Artwork! 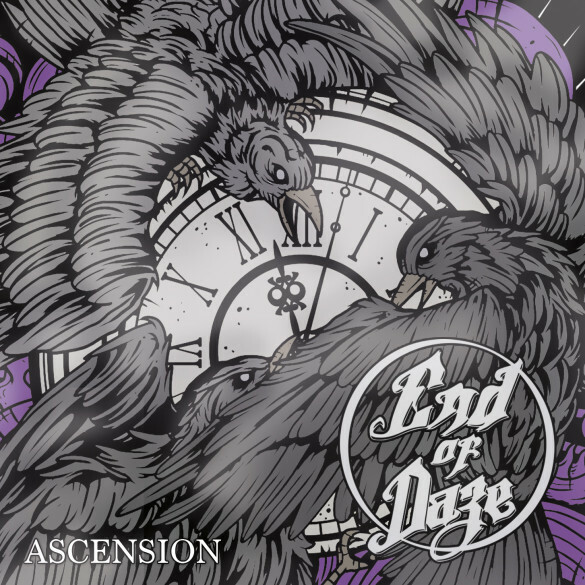 Emerging south west UK metal outfit End Of Daze are pleased to announce the release date, artwork & tracklisting for debut album Ascension on 14th September! Hailing from Weymouth, End Of Daze are a passionate young quintet who combine elements of their collective favourite genres. From the melodic guitar work of bands such as Iron Maiden to the pure hate spouted from Australia’s Thy Art Is Murder, from the ever-evolving sounds of Slipknot to that of metalcore kings Parkway Drive. The result is a high energy and melodic sound driven by powerful verses, hard hitting breakdowns and blistering lead guitar work. Recorded at SVM Studio in Poole with producer Pash Stratton, Ascension tells stories of personal experiences and incites strength in the face of adversity; big choruses and huge guitar driven passages is the end result.